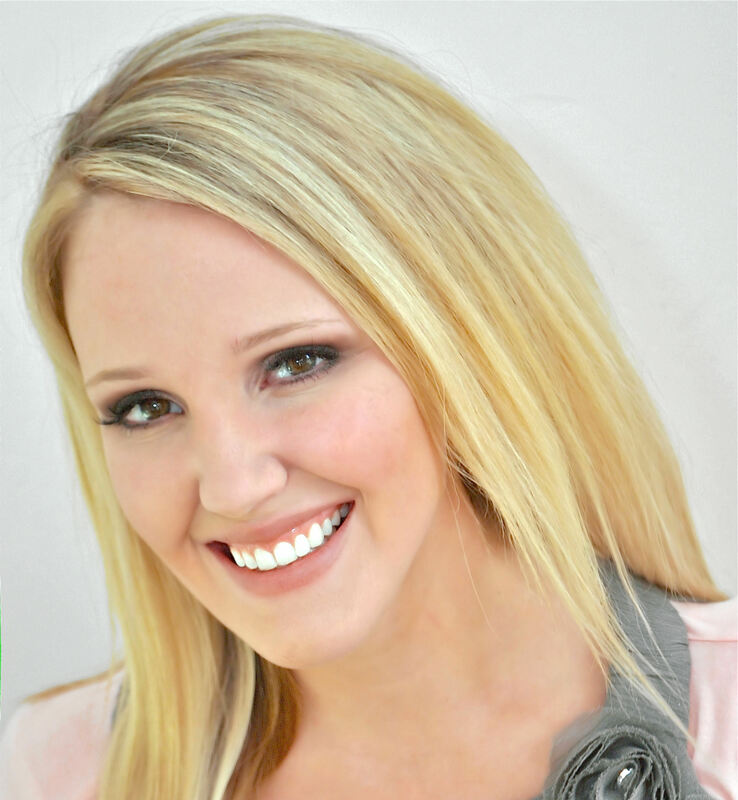 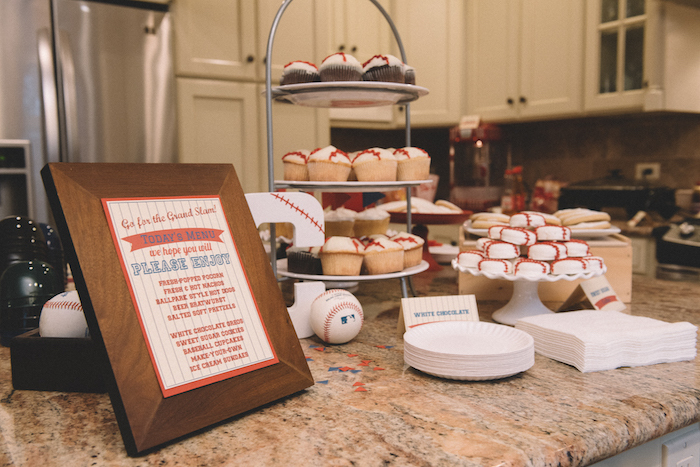 “Take me out to the ball game”…Or maybe just a party that hits a home run! 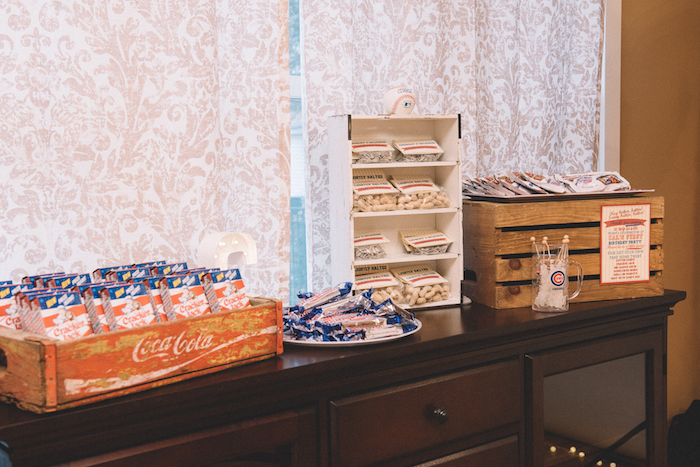 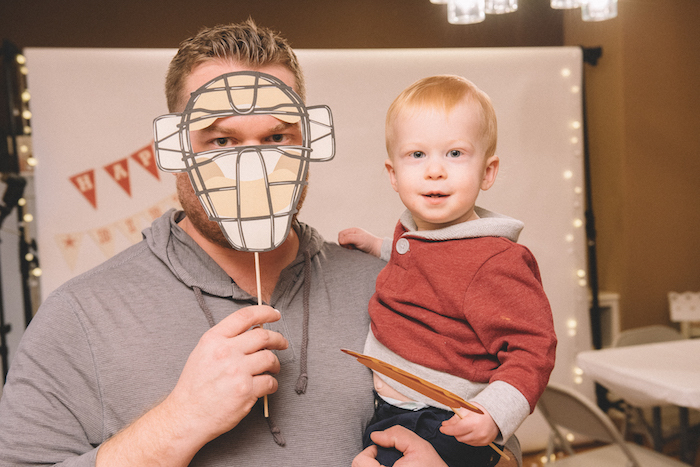 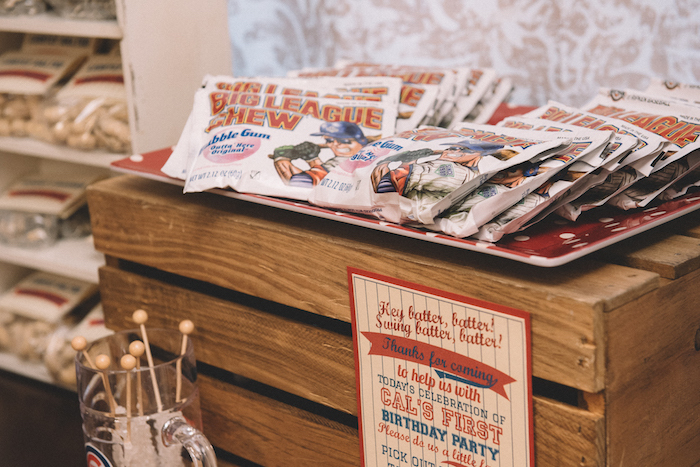 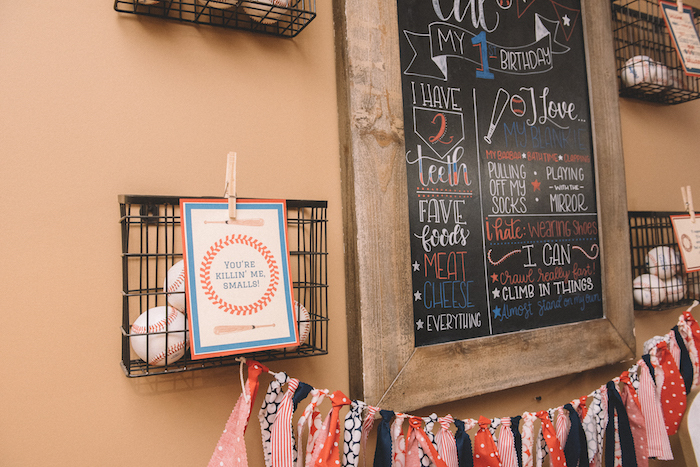 …Soaring across home plate, with dust, dirt and darling decor; this adorable Vintage Baseball Birthday Party by Leanne Valdes of You Name It Events, out of St. Charles, IL, USA, is sure to tie up the score! 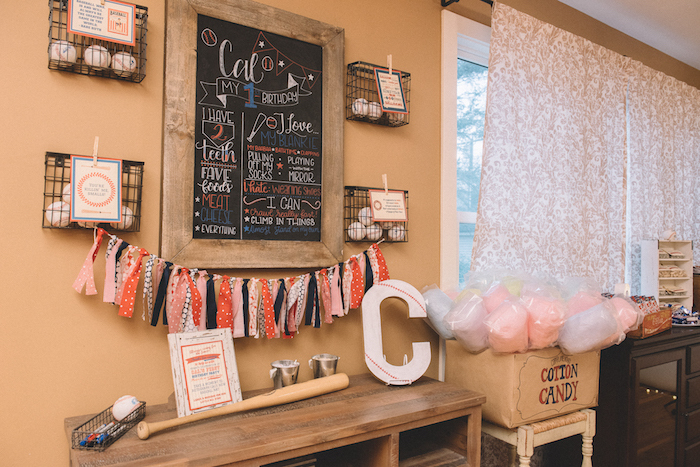 And cute ribbon tassel garlands! 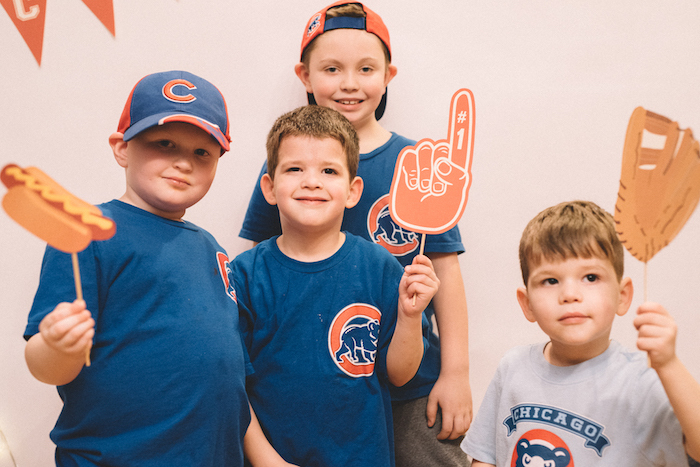 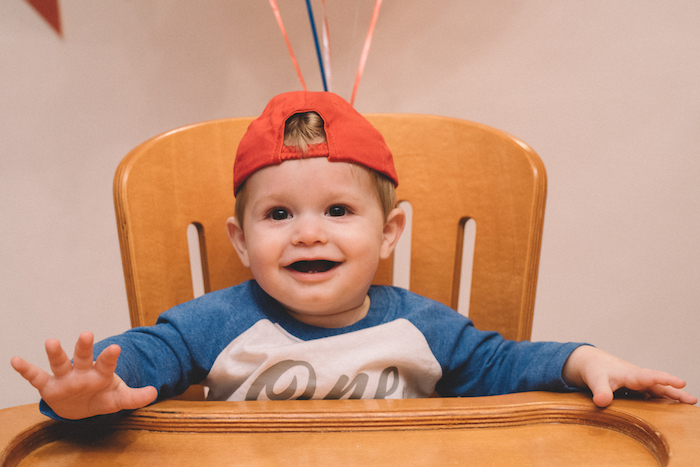 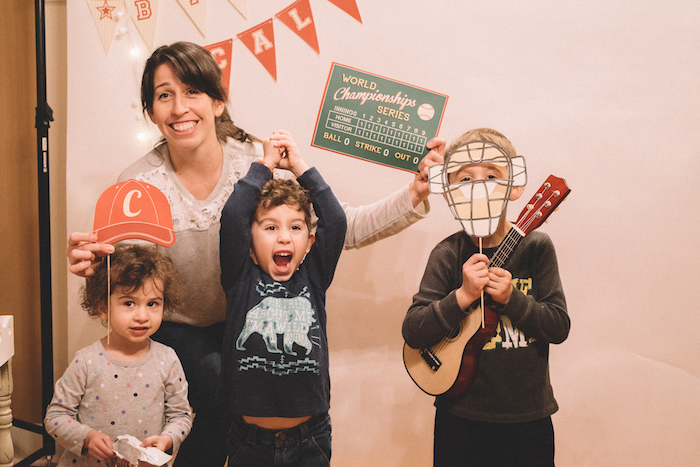 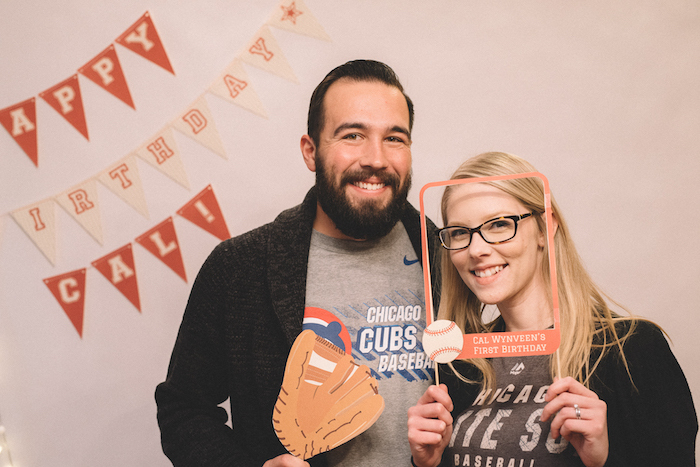 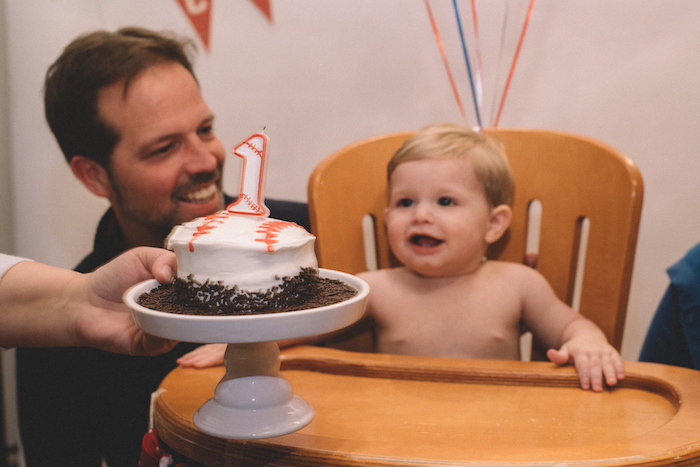 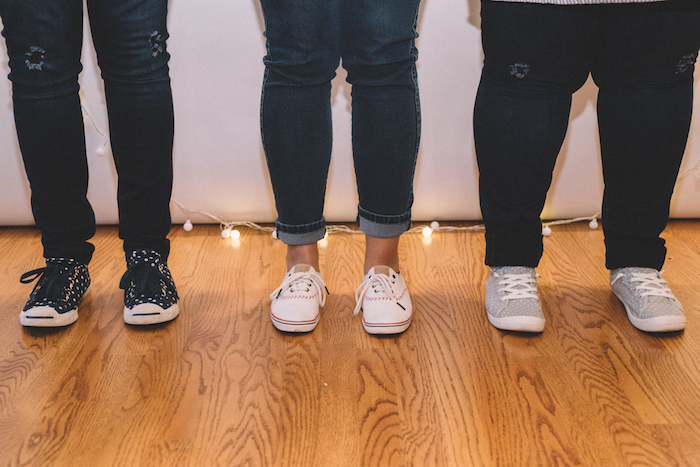 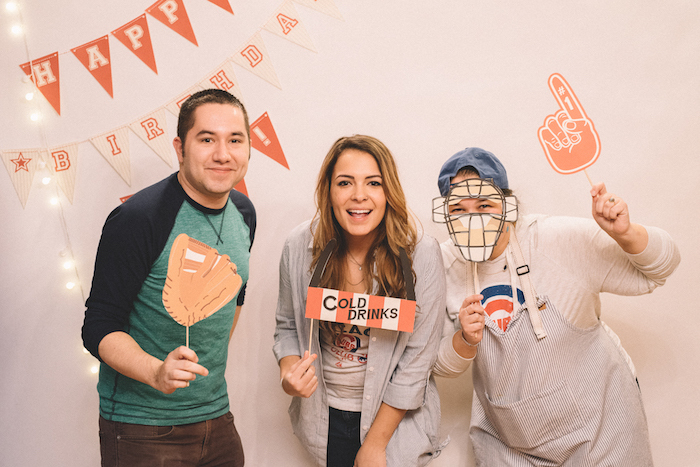 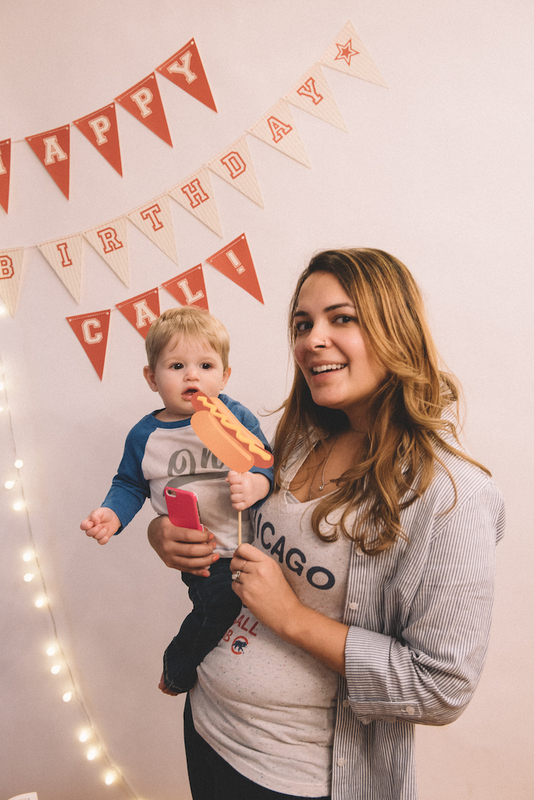 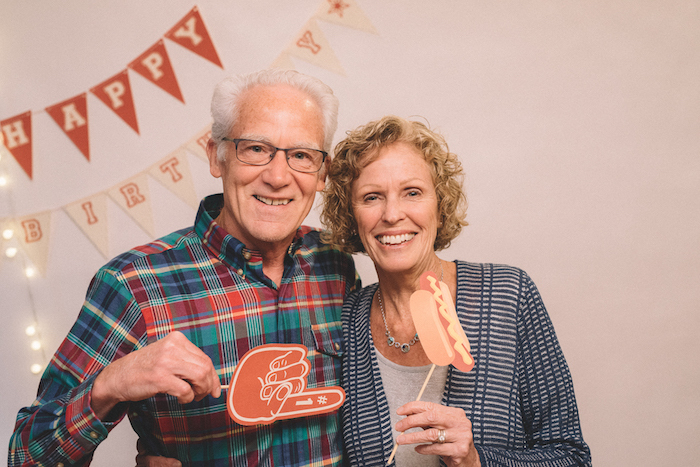 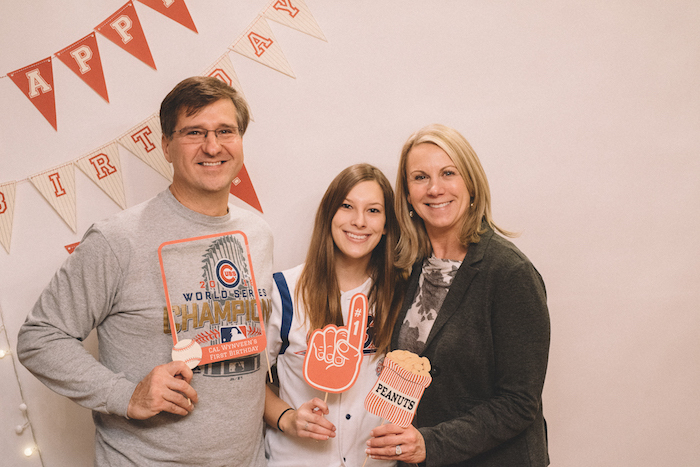 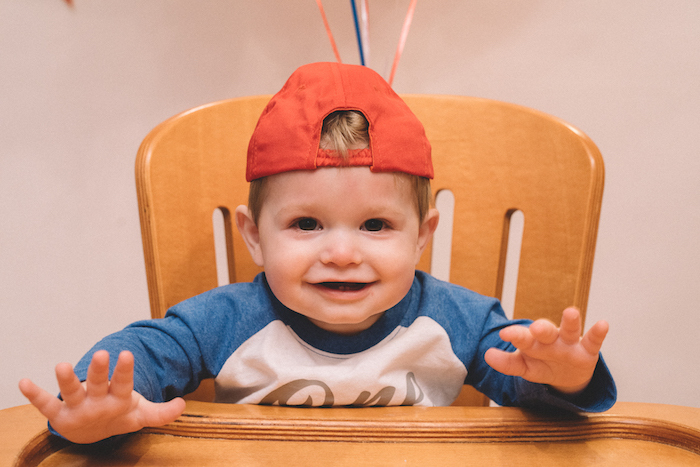 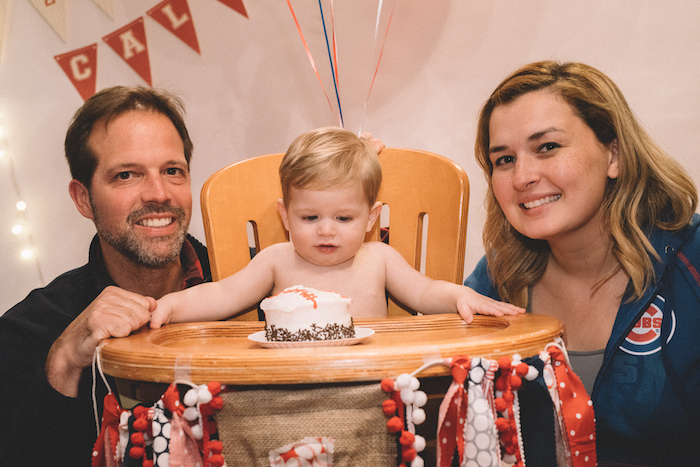 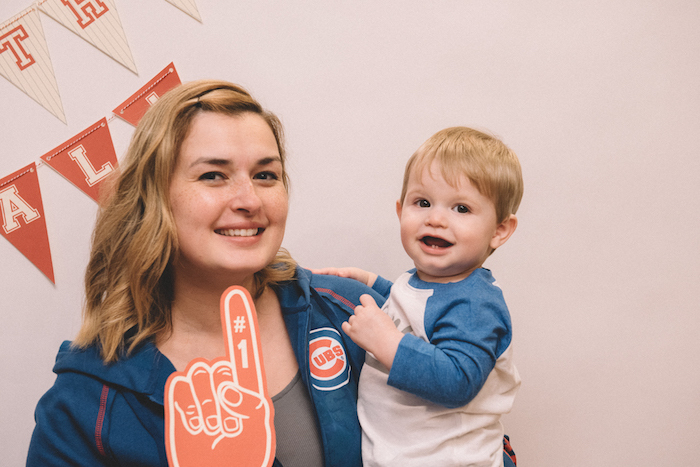 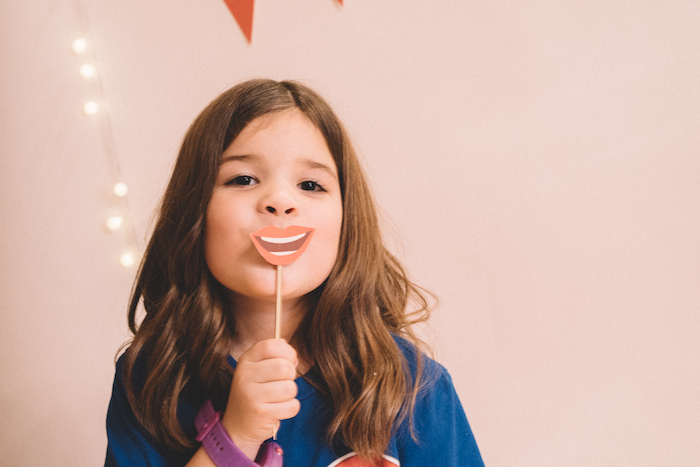 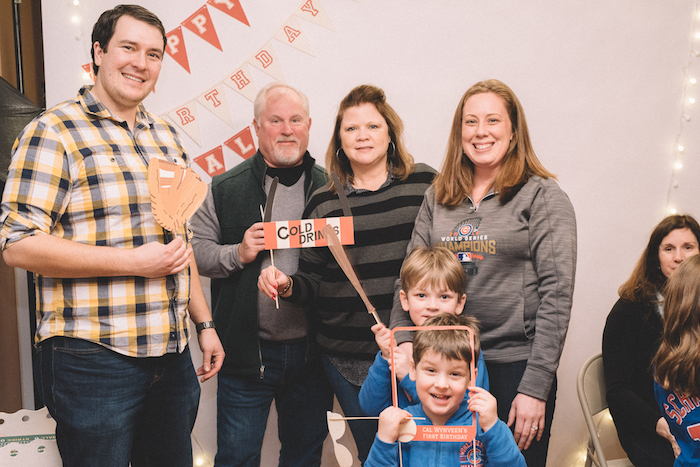 This is what Leanne shared about the party- “When you’re born in Chicago to a Cubs-loving family the year the Cubs win the world series, a baseball party is the best way to celebrate! 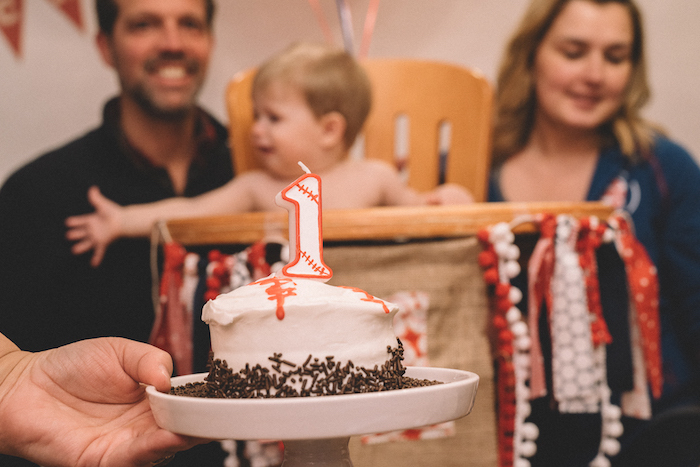 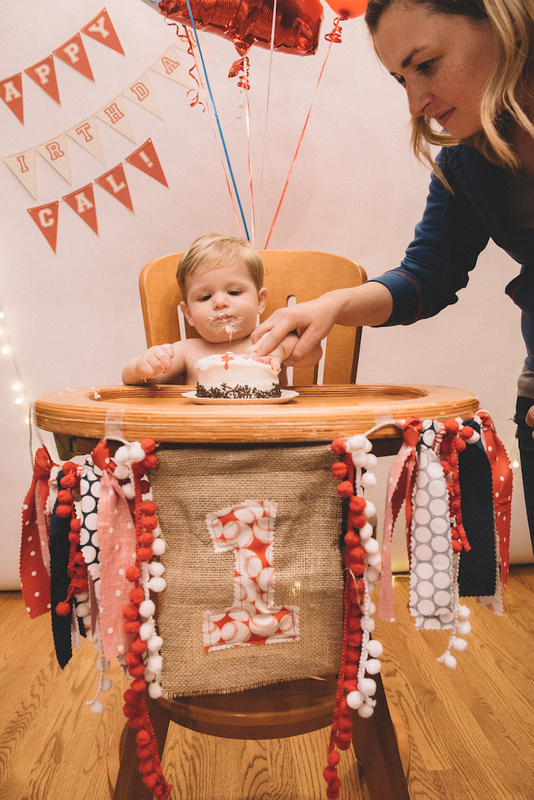 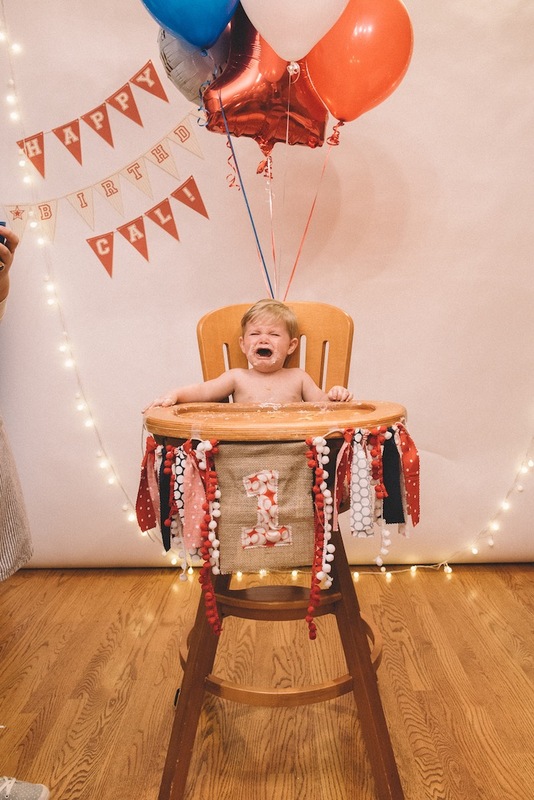 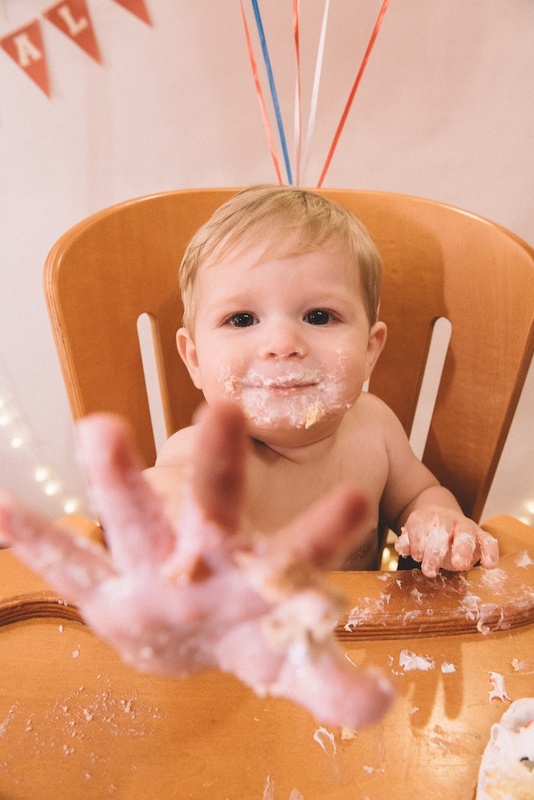 For Cal’s first birthday, we wanted to put a vintage spin on the decor to keep it interesting. 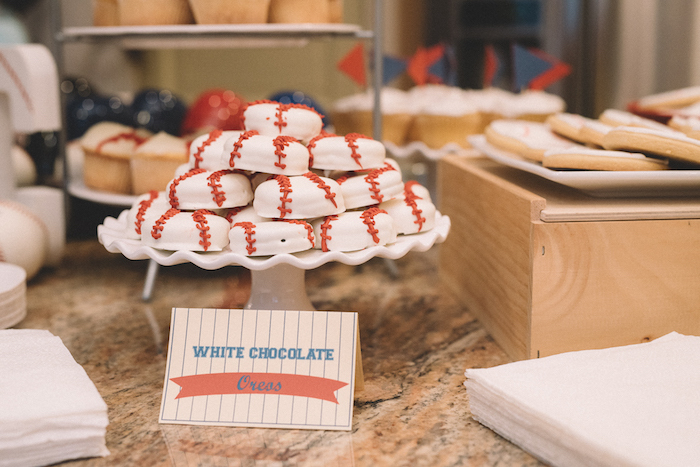 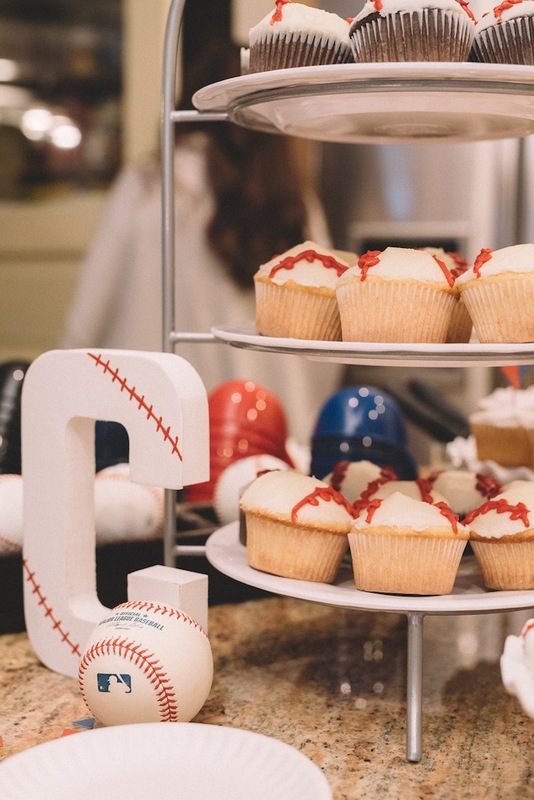 Everything from the food, decorations, and treats fit the baseball theme. 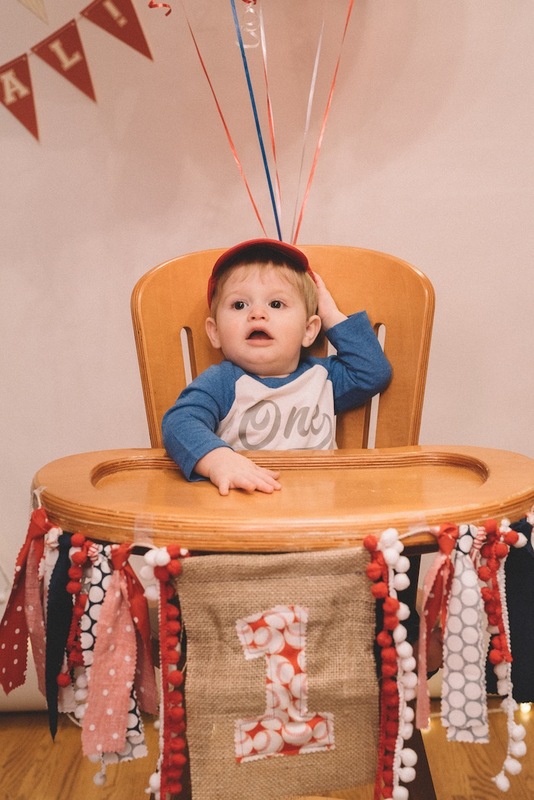 Cal’s custom baseball tee, baby baseball hat and decked out high chair made the cake smash part of the day especially fun as well”! 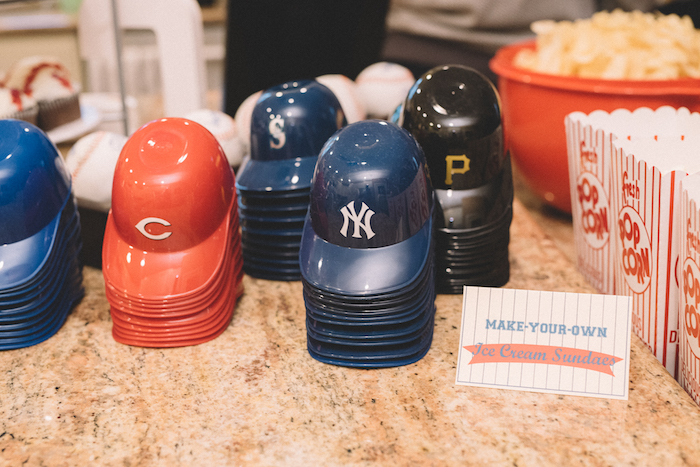 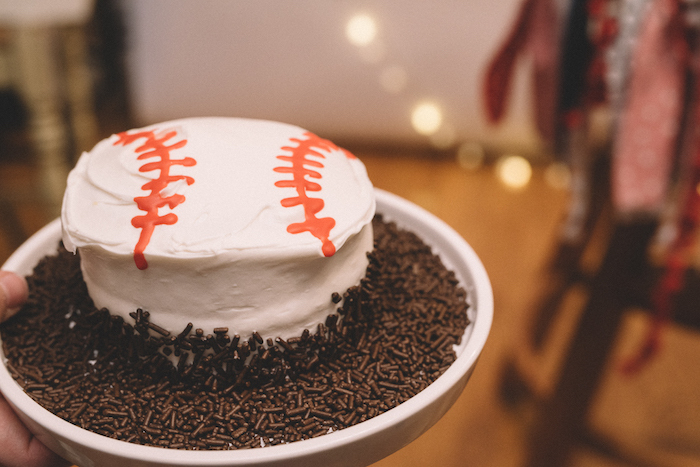 Head on into home plate with all of our Baseball party ideas!